So far WP QUADS supported the integration of Google Auto Ads via third party plugins only and you needed a separate plugin or to add code manually into the header of your website. To give you all the power and control in your own hands we decided to release native Google Auto Ads integration for WP QUADS PRO. 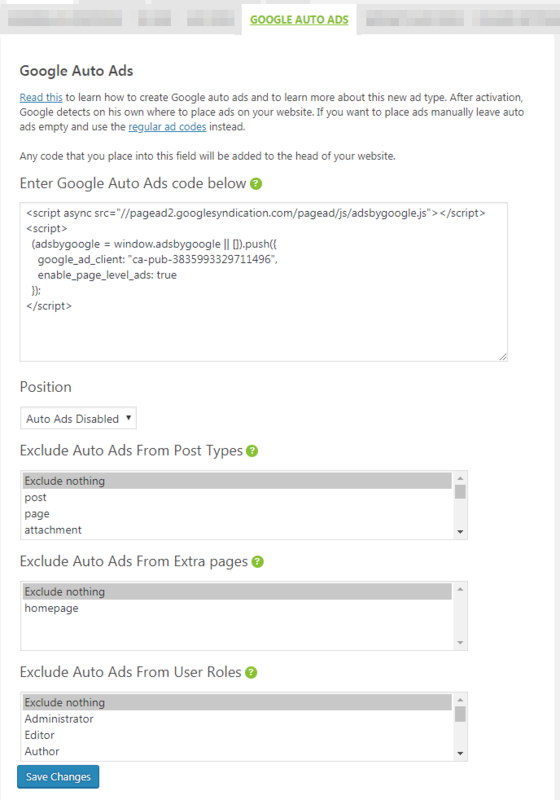 From now on you just go to WP QUADS PRO > Google Auto Ads and paste there the Google Auto Ad code into your website. No need for any extra plugin! The best thing is that you can exclude Google Auto Ads from certain pages and articles, even Post Types on your website where you do not want to see those auto generated Google ads.